Modular building definition is an arrangement of various units which together form a functional facility. Modular building systems are perfect for use as schools, kindergartens, offices, hotels and many more. They are assembled only from living units or sanitary and office units can be added to achieve complete functionality. Modular buildings can be equipped to all legal demands which include height of rooms, fire protection, ventilation, heating, air conditioning and more. REM can produce and assemble different buildings, depending on clients wishes and demands. Modular building cost are significantly lower in comparison to traditional built facilities. They are environment friendly because they can be recycled. Insulation of every unit is done accordingly to environment in which the house will be placed. Width of insulation of doors, windows, façade and roof is important therefore it is adopted to climate conditions. Electrical installations come pre-installed so customer can enjoy interior equipment like electric radiators, ventilators, air conditioners. Modular building has to be placed on a secure placement. Modular buildings schools, offices, hotels and many more can have a traditional or modern building design. They are made of steel structure which has inserted façade panels. Panels are fully adjusted to dimension of steel structure for good adaptability. Materials which are used for façade are impregnated wood or painted metal. Installed doors and windows reduce building costs. While standard structure permits three storey buildings, it can be reinforced for even higher loads. 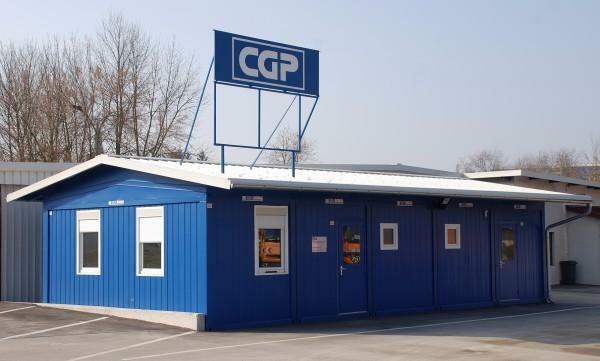 Modular buildings have to be manufactured according to local regulations and standards for this type of construction. With special 3D technology final result of finished facility can be displayed before they are actually made. Easy assembly on construction site is due to prefabricated units. REM team assembles modular buildings fast and professionally. Good advantage is easy expansion or reduction of units. That way, home can be built with couple units and it expands through the years with adding more and more units. Modular building dimensions depend on how many units has been assembled together. For private homes usually not many units are used, for schools, health care centres, kindergarten and other public facilities, many units are assembled: living, sanitary and office. There are many features that units have: choice of colour and size of unit, inside and outside lining, doors and windows, ventilation, heating. They can be produced according to customer needs and wishes.